Earlier this week, President Trump and first lady Melania Trump hosted their first White house Easter Egg Roll on the South Lawn. The annual festivities included an Easter Bunny appearance, a reading nook, and ultimate shade from the little ones in attendance. 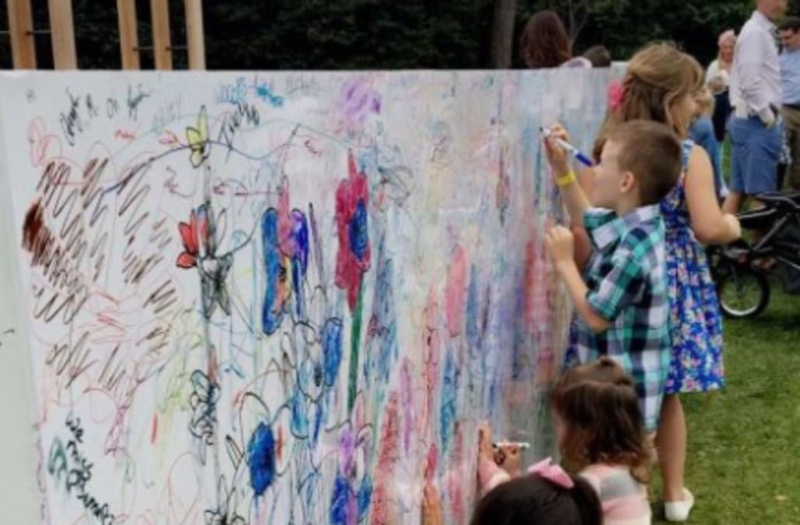 At the event, children were invited to help decorate a large mural on the lawn. However, amid all of the scribbles and doodle was something even more striking. "Kids, the original truth-tellers," filmmaker Matthew Cherry said in a tweet with a photo of the eye-catching drawing. In the photo, wedged between the butterflies and drawings of hearts and flowers was a string of words scribbled earlier: "We miss Obama." Some people on Twitter agreed with the sentiment presumably written by a child at the event. That's why it's important to listen to your children. Can't wait for Trump to be impeached. And others speculated a parent wrote the message instead. Looks like adult writing to me!!!!! Love this. Thanks for posting. Needed this today....well, EVERY day since Nov. 8.